Many Australians have a number of questions to ask with regards to using 1300 numbers. Companies like 1300EasyDial often gets asked a couple of thought provoking questions by consumers. Getting the answers to these will go a long way in helping businesses make the right choices as to whether they should select a smart number or make use of phone word numbers. Small business owners in Australia will be particularly keen to get answers to assist them in their decision. The caller would be able to make his or her call from any Australian fixed landline to the 1300 number at the cost of a local phone call. What would be considered as the most popular 1300 number plan? 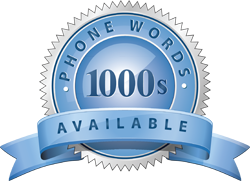 The most popular 1300 Number Plan provides as much as 30 minutes of free talk time. Will I be able to keep my 1300 number should I need to relocate? Yes, all 1300 numbers are portable. In addition, when relocating, you do not have to pay anything. The other benefit is that there would be no need to reprint your stationery or notify any customers as your number would remain unchanged. What are my routing options with 1300 numbers? Depending on the phone number being dialed, your call can be routed in a number of different ways. It can even be further re-directed if the number being called is busy or no one is answering. The routing options offer a set of very useful features that are based on the time of the call, the location of the caller, and the destination number. You could speak to 1300EasyDial to assist you further in explaining the various options open to small business owners.